At Sweet Causes Limited, we’re committed to protecting and respecting your privacy. Any questions regarding this Policy and our privacy practices should be sent by email to http://www.charitysweets.co.uk/contact-us/ or via the other methods on our contact page. We are Sweet Causes Limited, a company providing sweet and snack boxes for charities. Sweet Causes Limited takes security seriously. Our internal Data Security Policy details the steps we take to safeguard and secure the information we collect. Our Data Security Policy includes a clear process for handling a personal data breach, should one occur. Where appropriate, Sweet Causes Limited will promptly notify you of any unauthorized access to your personal information. 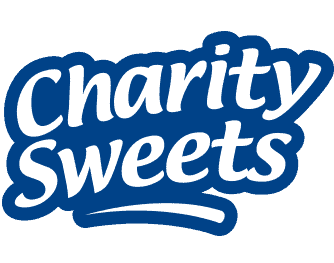 We are Sweet Causes Limited, we provide sweets, snacks and boxes for charities. Our business address is: Unit 2 Aldridge Fields Business Park, Middlemore Lane West, Aldridge, West Midlands, WS9 8AE. United Kingdom. Our GDPR plug-in uses this cookie to maintain your preferences regards other cookies. We need this to help us comply with your privacy rights. Our GDPR plug-in uses this cookie to maintain your preferences regards your consent. We need this to help us comply with your privacy rights. You can configure your Internet browser, by changing its options, to stop accepting cookies completely or to prompt you before accepting a cookie from the website you visit. If you do not accept cookies, however, you may not be able to use all portions of the Sweet Causes Limited website. Most browsers allow you to turn off cookies. To do this, look at the ‘help’ menu on your browser. Switching off cookies should not overly impair your use of this website but it may not work 100% as intended. Most web browsers automatically accept cookies but, if you prefer, you can change your browser to prevent that or to notify you each time a cookie is set. You can also learn more about cookies by visiting www.allaboutcookies.org which includes additional useful information on cookies and how to block cookies using different types of browser. Please note however, that by blocking or deleting cookies used on our site you may not be able to take full advantage of our site if you do so. Sweet Causes Limited takes security seriously. In order to protect your information from loss, misuse or unauthorised access or disclosure, we have put in place suitable physical, electronic and managerial procedures to safeguard and secure the information we collect. Although we make good faith efforts to maintain the security of such personal information, no method of transmission over the internet or method of electronic storage, is 100% secure and we cannot guarantee that it will remain free from unauthorized access, use, disclosure, or alteration. Further, while we work hard to ensure the integrity and security of our network and systems, we cannot guarantee that our security measures will prevent “hackers” or other unauthorized persons from illegally accessing or obtaining this information.